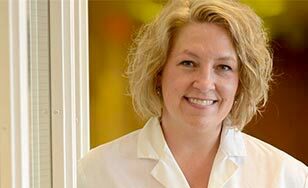 The College has hired Kim Kruger, MD, as director of its planned Physician Assistant Program. The new PA program plans to admit its first students in 2017 and will award a two-year master's degree, pending final approvals. A Physician Assistant works under the direction of a physician supervisor, providing medical care as a member of a team of providers. Kruger, is an experienced clinician and educator who spent nine years as a family physician and educator at the Duluth Family Medicine Residency Program, the past three as associate and program director. Before that, she spent four years as a family physician in rural Minnesota. "Dr. Kruger's professional interest has been rural health care quality and access," said Beth Domholdt, vice president for academic affairs. "Her passion for both medicine and teaching in a values-based context makes her the perfect person to launch our program." Kruger said she is "inspired by this opportunity to join St. Scholastica's impressive faculty team in creating and developing a Physician Assistant program in our community. Our nation is facing a serious shortage in primary care access. We must focus on training competent health care providers who can fill the need in rural and inner city shortage areas. St. Scholastica's PA program is a key part of the solution to meet the needs of our communities." Kruger noted that by 2018, the Physician Assistant field is predicted to grow 39 percent. "PA's have one of the fastest health occupations growth rates in America," she said. "Minnesota has very high demand for these professionals." The PA program joins St. Scholastica's School of Health Sciences which includes physical therapy, occupational therapy, health informatics and information management, social work, athletic training, and exercise physiology. In addition, the College's School of Nursing is one of the largest in the state. The hallmark of the PA program will be inter-professional, collaborative education, which won't be new on campus. "St. Scholastica has already embraced this educational approach," Kruger said. “Collaboration is what primary care is all about." The department plans to admit 28 students per year, with prospective students able to begin applying in the spring of 2016. St. Scholastica is applying for provisional accreditation through the Accreditation Review Commission on Education for the Physician Assistant (ARC-PA). In the event that ARC-PA does not award provisional accreditation, students will not be accepted into the program for a 2017 start. For more information go to css.edu/PA.